With 13 Sentinels: Aegis Rim being just beyond the horizon for a little while longer, Japanese developer Vanillaware seems content with putting out enhanced versions of their older projects these past few years. The first of these was the stellar 2016 remake Odin Sphere: Leifthrasir which was so impressively realized that it turned a severely flawed gem into the makings of a genuine gaming classic. In contrast, Dragon's Crown Pro will take a much higher level of scrutiny to notice its minimal changes on the newer PlayStation 4 hardware. For better or worse, it is still the same game it was five years ago. For those unaware, Dragon's Crown was a title that made its way onto the PlayStation 3 and PS Vita back in 2013. In spite of a lengthy and expensive development cycle, it ended up being a much-needed success for Vanilliaware, likely because of its rock-solid beat 'em up gameplay and distinct female character designs. 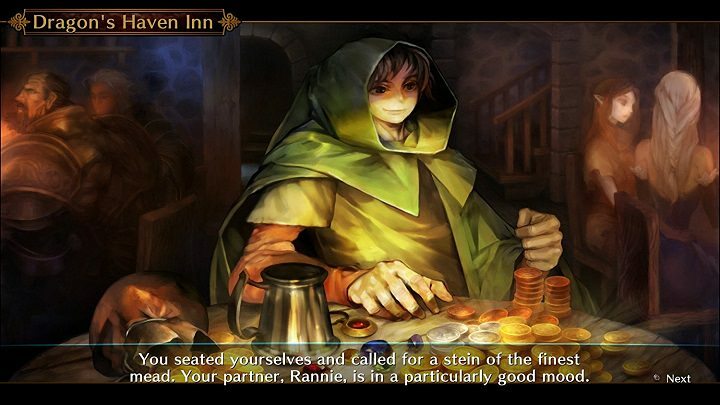 Those with a more seasoned background in the subgenre were able to glean Dragon's Crown reverent (and hardly subtle) callbacks to classic titles such as Capcom's Dungeon & Dragons arcade games in particular. 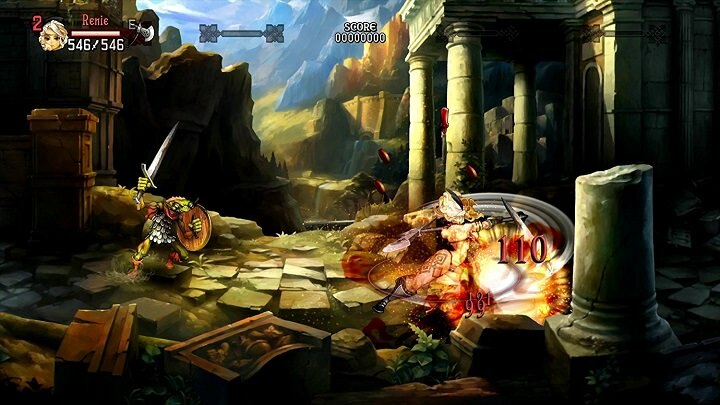 Considering how the game's art director, George Kamitani, had a hand in those D&D arcade games makes it all that much more clear he wanted Dragon's Crown to hearken back to beloved old school beat 'em ups, yet embrace it in a much more modern gameplay context. Being about four years removed since my last playthrough of the game I am surprised to have grown a stronger appreciation of it upon playing Dragon's Crown Pro. Just as it did five years ago, Dragon's Crown's near-timeless 2D art direction is immediately captivating and is dense with an absurd attention to detail, especially now that it has the benefit of a 4K resolution option as well. This is only complemented further by the fun, enthusiastic dungeon master-styled narration throughout (which can be changed to any of the playable character voices that also generally do a great job) which thankfully much more strongly resonates than the forgettable main plot itself involving -- surprise surprise -- dragons and a special crown of some sort. More important than the many striking presentational flourishes is, of course, the actual gameplay. Those comfortable with 2D fighting games, in particular, will likely find the controls of each of the six playable characters to feel like a dream. Layered on top of RPG-styled level progression and an addictive loot grind, this only makes finer character gameplay nuances that much more satisfying to uncover. As much as I enjoyed lifting enemies and tossing barrels as the Dwarf, or teleporting around and casting support spells as Sorceress, I decided to mess with around with the rest of the cast upon this revisit and found myself pleasantly surprised by all of their capability and multiplayer utility as well. But, admittedly, new players will likely still have to acclimate to control quirks like narrow foreground and background beat 'em up hitboxes or certain, clearly touchscreen-intended mechanics like opening treasure chests or using runes abilities (easily most intuitive on PS Vita, though the PS4 touchpad does work fine), if they are not already familiar with them. The issues that Dragon's Crown Pro unfortunately retains are more structural than anything else. The most common early complaint is that newcomers will still have to play a couple hours by themselves (potentially with AI companions) before they can even so much as touch the online multiplayer options. Ironically, after getting over that early slump, those same players will likely feel like they have "beaten" the game by themselves. To the game's credit, in spite of the poor story context of gathering nine talismans, they do a better job in a gameplay context to justify revisiting the familiar nine locations for "Path B" routes that provide distinctively more challenging and varied setpiece moments as well as entirely new bosses. Yet, even with the Path B routes, the repetition is likely to set in much more quickly without the help of other online/local players or the earned convenience of a save file that already played past the first nine bosses and allows them to play a level 15 character right away. The repetition problems are only exacerbated by rather dull quests that seem to conveniently pop immediately after the player likely completed their objectives mid-dungeon trek already. Though these quests are certainly optional (I never touched them until this release) they can be a good way to earn experience points, the occasional questionably lewd pictures, and, much more importantly, skill points which are vital for min/max reasoning to those who want to mess with the game's hardest content on higher difficulties or the randomly generated gauntlet Labyrinth of Chaos/Tower of Mirages modes. It really feels like a huge missed opportunity in general for Vanillaware to not add potentially new playable characters, stages, or modes regardless of how surprisingly well the game has aged. However, it says a lot about just how entertaining the core game is, glaring flaws and all, when I easily doubled my original thirty-hour playtime by trying out other characters or higher difficulties this time around. Even if it definitely missed its chance with sweeping changes, there are some small details that do help Dragon's Crown Pro to barely eke out its position as the best version of the title. Though it took me more time to notice than I care to admit, the entirely redone live orchestra soundtrack by Hitoshi Sakamoto is one such benefit, with richer vocals and instrumentation of the entire soundtrack. Much more granular details are appreciated too, like improved inventory interface, painless direct save transfer options from PS3 and PS Vita, or secretly most important of all, a much more stable PS4 online netcode, especially when playing with individuals overseas. Of course, I am reaching for straws because -- for as positive of a time I have had with the whole experience -- it is tough to make the argument for this re-release for those who did not already enjoy the game. 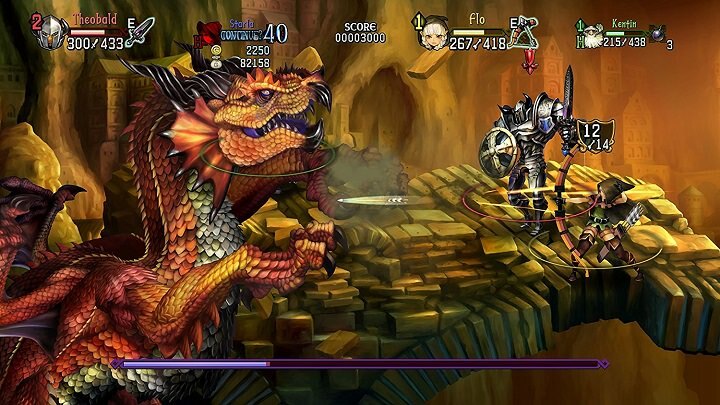 After being spoiled by the excellent enhanced release of Odin Sphere: Leifthrasir not too long ago, it is more than a little disappointing at how little has been added to the PS4 release of Dragon's Crown Pro. Despite the passing of five years time, however, Dragon's Crown has aged remarkably well. It may retain its structural mishaps as well as repetition problems, but its stronger overall components also maintain its addictive moment-to-moment gameplay and superb visual and aural presentation. For those that did not exhaust themselves on the game the first time around, there is still good fun to be had with Dragon's Crown Pro in what is easily among one of the finest beat 'em ups available. 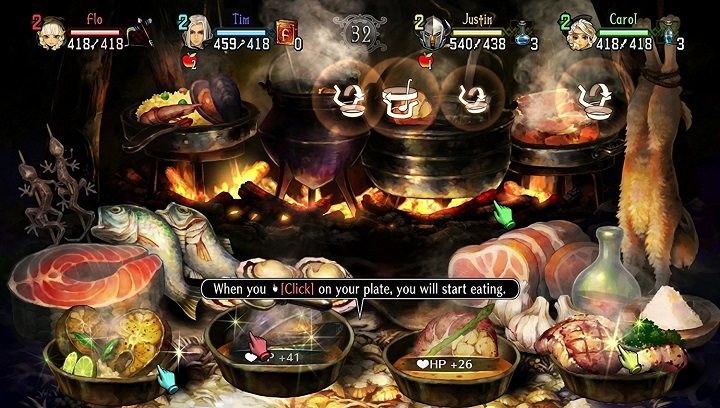 It also serves as a good reminder as to why one should be excited for the upcoming next title Vanillaware has in store. Vanillaware may have squandered its chance to significantly add upon and fine-tune Dragon's Crown Pro but, for an already high-quality beat 'em up, it does leave room for forgiveness for this minimal PS4 port, especially because of how enjoyable it is to play with others even now.